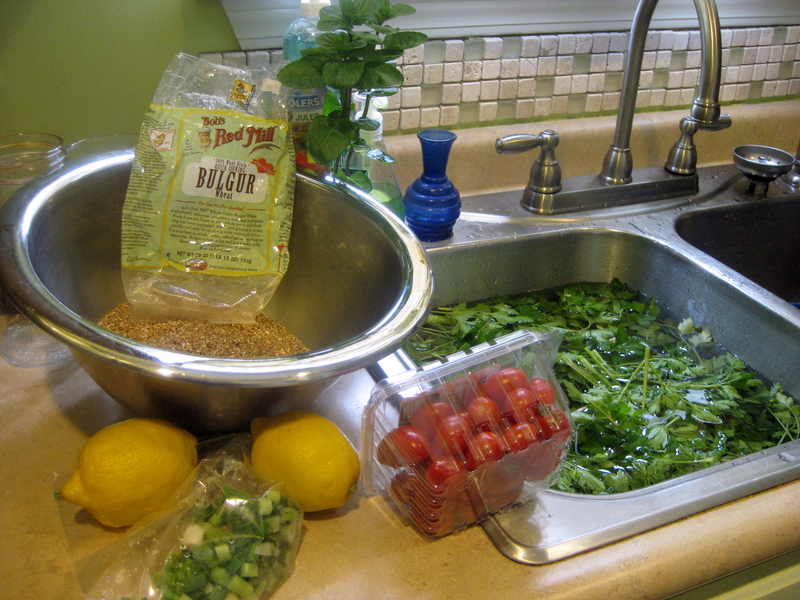 Who says New Orleanians don’t make tabbouleh? Can’t get much better on a Greek gyro, am I right? 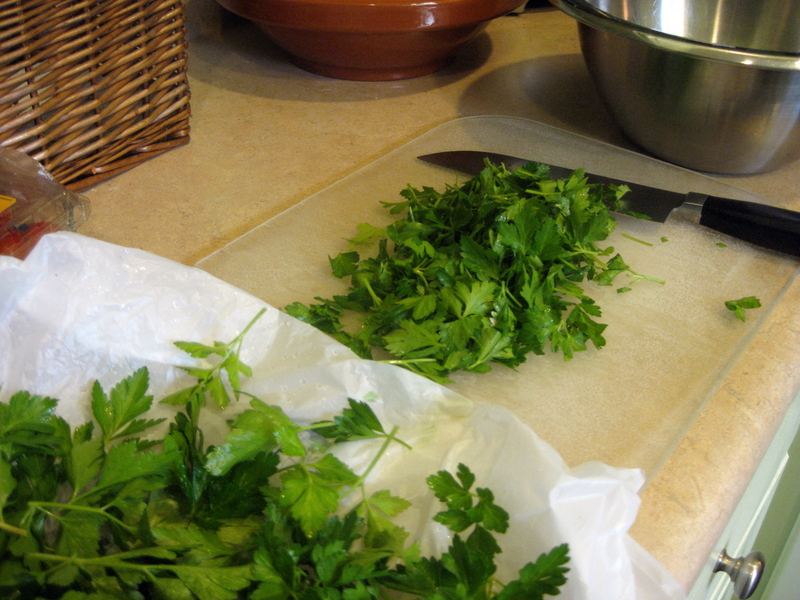 This is a bit different from my usual Southern or “frenchified” offerings, but this past weekend I cut a whole lot of gorgeous, fragrant, flat-leaf parsley from my garden and knew I had to make tabbouleh. 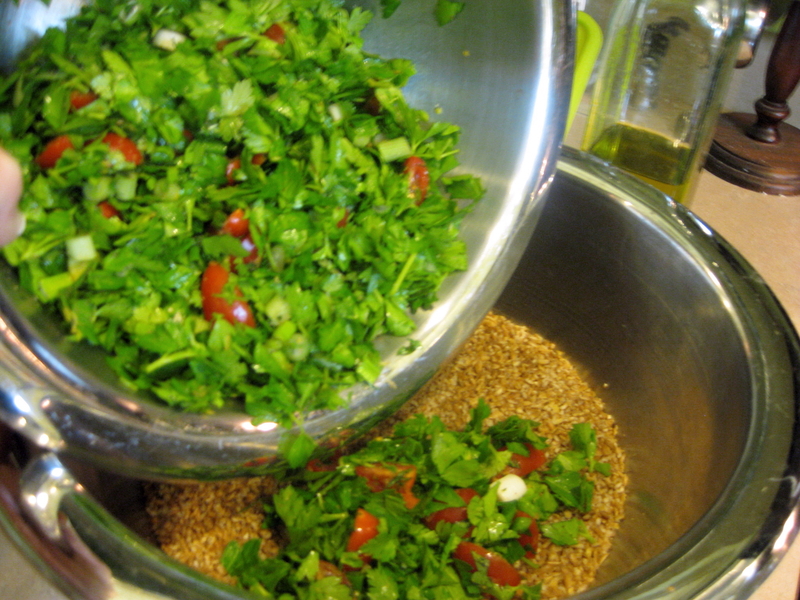 Tabbouleh is great as a side dish or on romaine leaves with cucumber slices as a salad. It’s also outstanding with hummus and roasted chicken kebabs, on baked salmon or in wrap sandwiches. Use it to suit your tastes. It’s so fresh and wonderful. 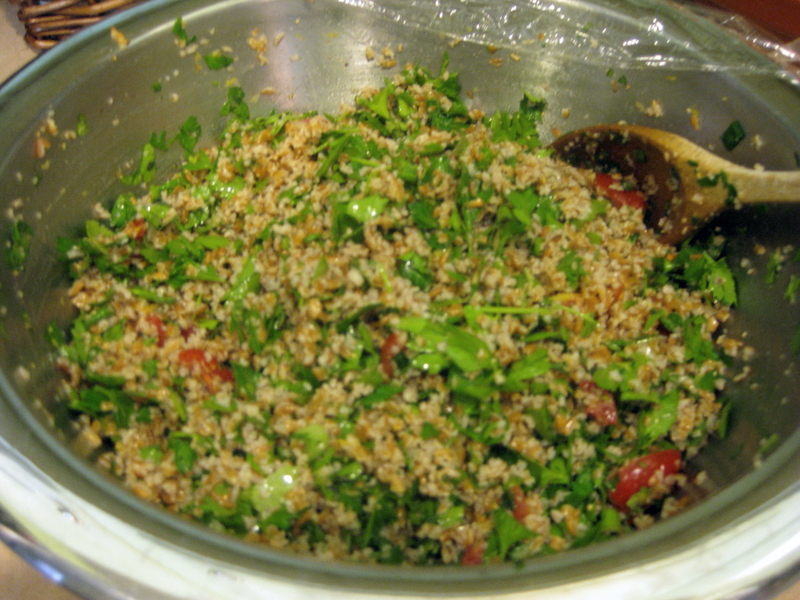 To pre-soak the bulgur, place 2 cups of it in a bowl, pour 2 cups of hot water over and let stand 1 hour. 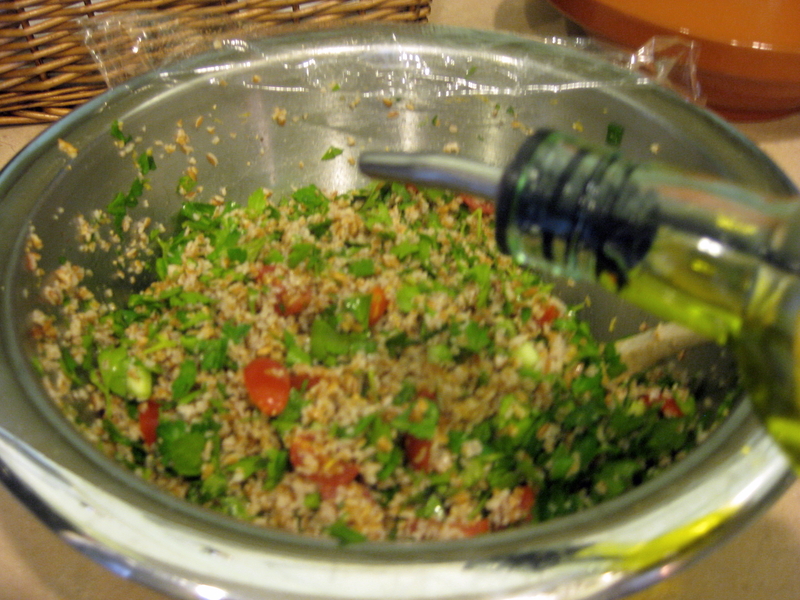 In another large bowl, use a wooden spoon and gently mix together all ingredients except the bulgur, tomatoes, olive oil and lemon juice. 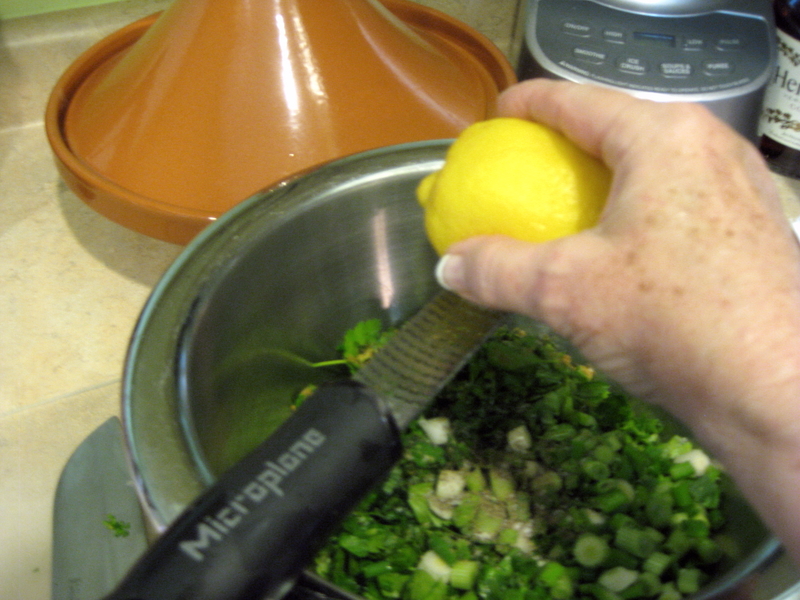 Using a microplane, scrape zest of 2 lemons into green mix. 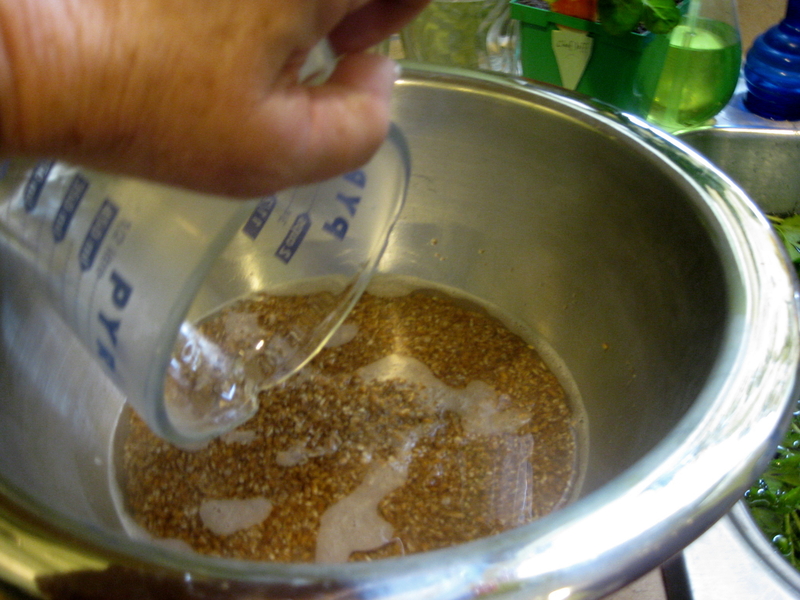 Pour mixture into the wheat bowl and gently combine, then add lemon juice. Cover with plastic wrap and chill for 1 hour to allow flavors to blend. 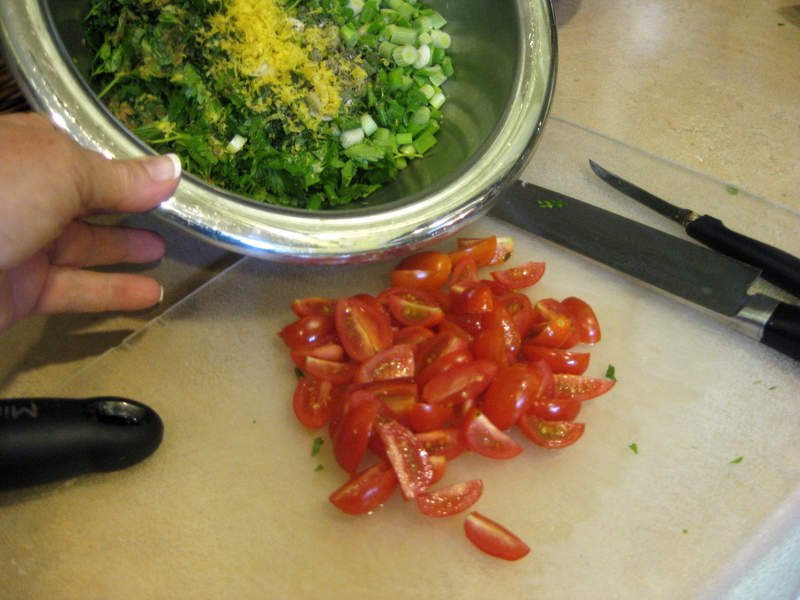 Before serving, pour on olive oil and toss. Taste. 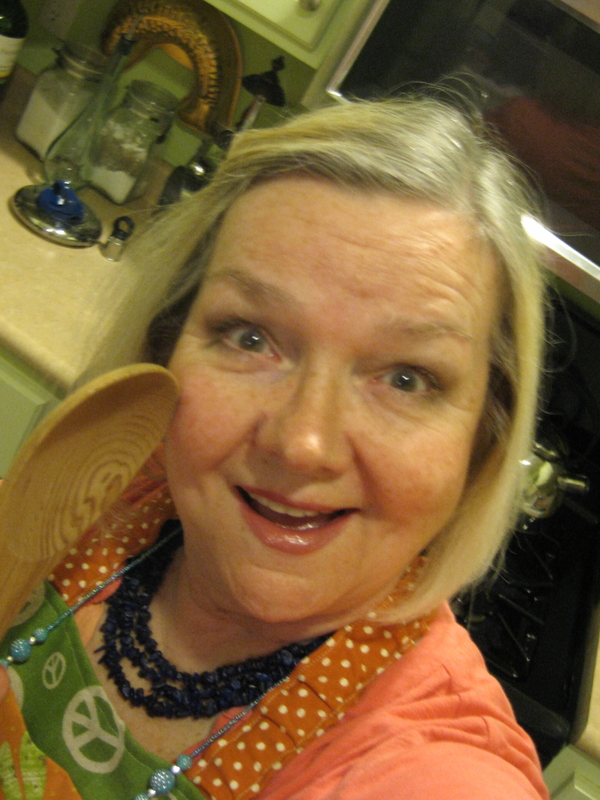 You may want more salt, cumin, lemon juice, pepper, etc. 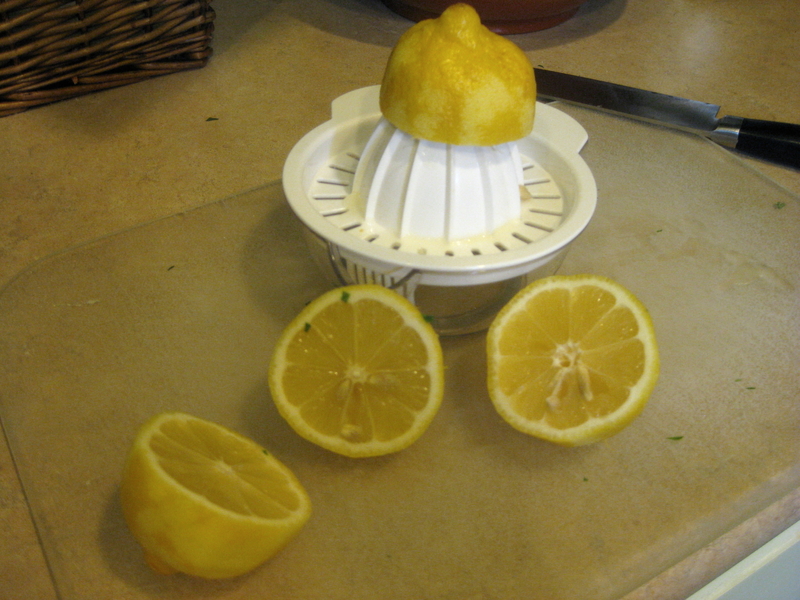 If you’ve run out of lemon juice and want more “zing,” use a couple of tablespoons of red wine vinegar.